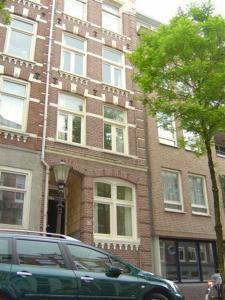 Da Costa Apartments, Amsterdam discount hotels and accommodation. These Spacious (95m2) Luxery Appartments are very central located. Just 2 minutes walking distance from the Jordaan with all the typical Amsterdam bar's, restaurants and little shops and 5 minutes walking from the smashing nightlife at the Leidse Square. Ideal for longweekends and holidays. The Da Costa Appartments are typical Amsterdam style and meet up to luxury standard. View photos, room descriptions and make online reservations at Da Costa Apartments. Save on room prices at Da Costa Apartments, Amsterdam.